This group was established for supporting IEEE TYRW (IEEE Tokyo Young Researchers Workshop) activity in 2012. The members mainly consist of graduates of IEEE TYRW committee. 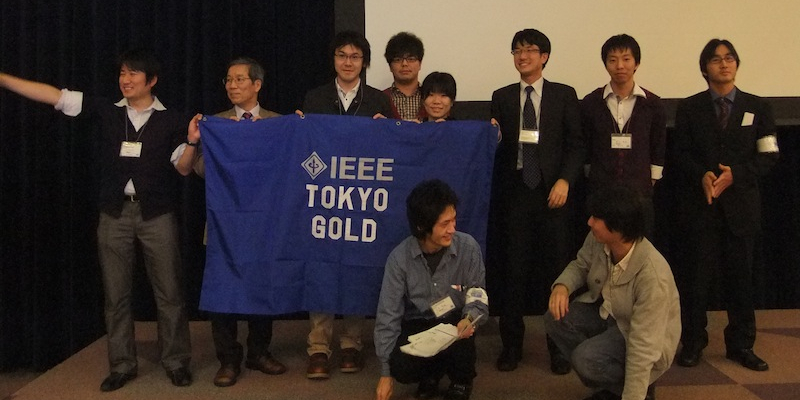 Also this group is supported by IEEE TOKYO GOLD affinity group. As the first activity, the members helped to judge presentations and provided “IEEE TYRW Supporter’s Group Award” at TYRW2012. This is a tentative home page. It will be updated soon. Copyright (C) 2013 IEEE TYRW Supporter’s Group All rights reserved.